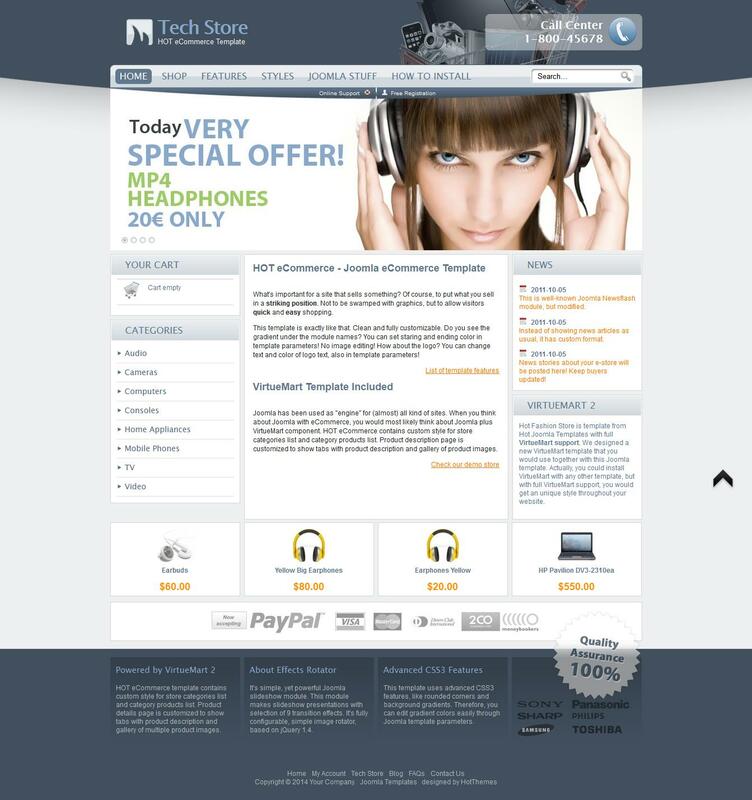 HOT eCommerce - both simple and elegant template for online stores from studio HotJoomla. This template uses a clean and fully customizable appearance with optional gradient and color modules or content. It has full compatibility with e-commerce component VirtueMart, that easily helps create quality online store selling various goods. There are 27 module positions, 4 color style and 4 types of menu: Fade, Scroll Down, Drop-In and None. In the assembly includes additional extensions developers: Hot Effects Rotator, Hot Joomla Carousel module and Hot Joomla Gallery. The template version for Joomla 1.5 support VirtueMart v1.1.x and version 2.5 VirtueMart v2.h respectively.